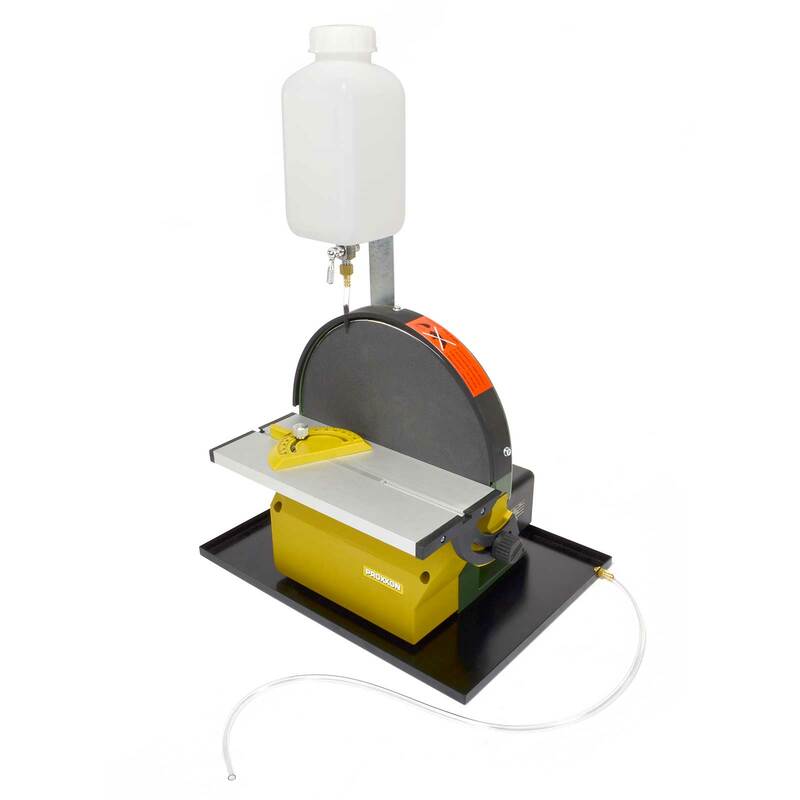 Cooling Set for 10 Inch Sander includes reservoir, adjustable valve, tubing, gasket and collection tray for water-drip cooling of sandpaper and workpiece. Necessary when sanding hardened steel tools, stone, ceramics, tiles, glass and other hard, heat-generating materials. Must be used with special sandpaper, available separately.